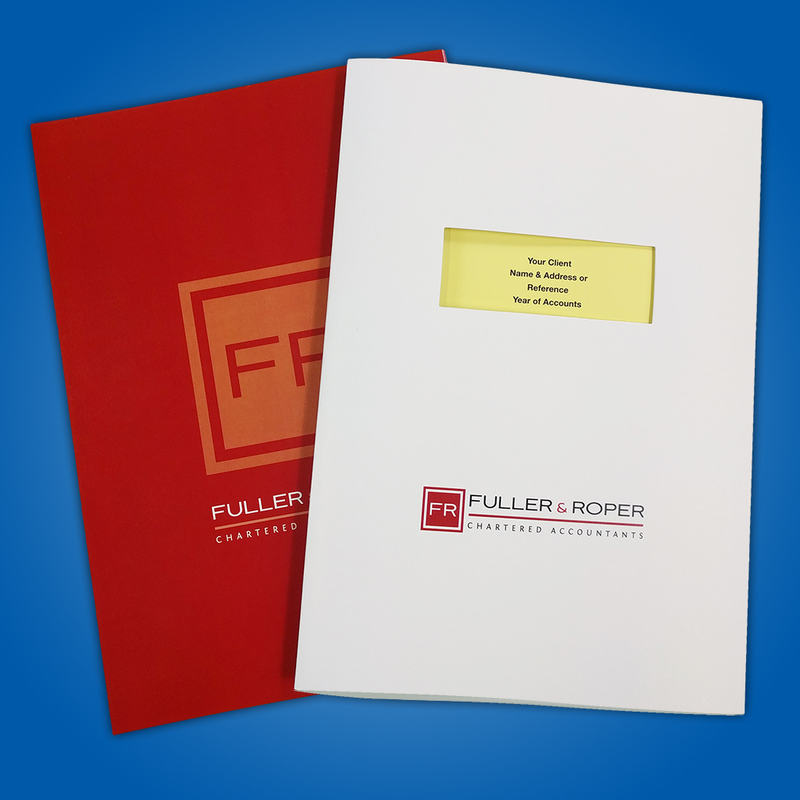 Our Accountancy Folders, well-suited for accountants and bookkeeping companies of all sizes, are an excellent way of professionally presenting end of quarter/year accounts, as well as any other important legal documents. SPECIAL OFFER: 20% off throughout March and April. And if you email over artwork such as your logo, text and company colours, we’ll post out your very own free printed proof. The unique self-binding design of these folders means that you need to simply staple your documents together, peel the backing of the tape on the self-binding tab of the folder, and place your documents within. Once sealed, the staples are hidden, this creates a simple yet effective way of permanently securing documents. And with an optional hole cut-out on the front, this folder does not obscure the personalisation of the inner documents and allows your client’s details to be read even when the folder is closed. Printed on 350gsm card, these are sturdy and long lasting. 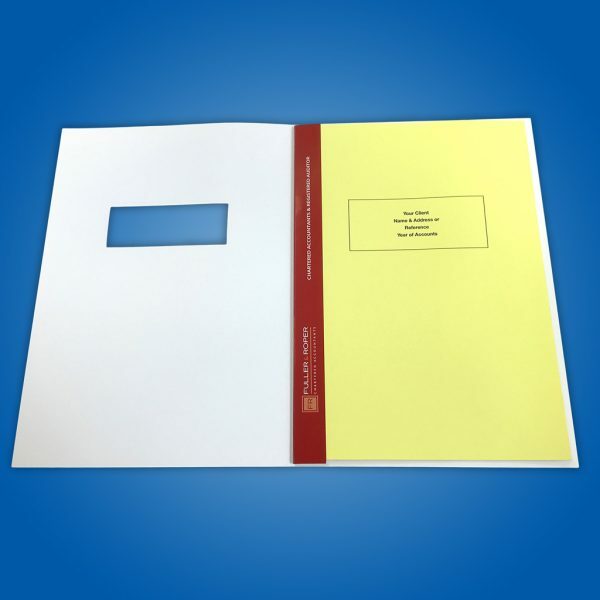 With a 3mm inner capacity, these can hold up to 30 A4 sheets of 100gsm photocopier paper. Need these to hold even more sheets? Just let us know your custom specifications and we will send you your very own bespoke quote. Further options are also available for matt or gloss lamination (outside only or throughout), as well as custom hole cut-out size and position. We can also provide foil blocking, Spot UV, or coloured card stocks. Want to see one for yourself? Just get in touch! Email us your artwork (logos/text/colours) and we can get a completely free proof printed and posted out to you.